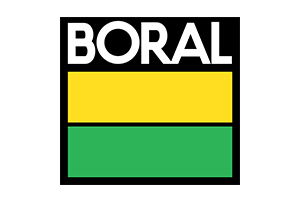 The most important day of your roof, is the day it is installed. Through our more than 41 years of experience, we have found that our procedures are the most beneficial for the longevity of your tile roof. Our quality craftmanship guarantees our workmanship for 10 years. 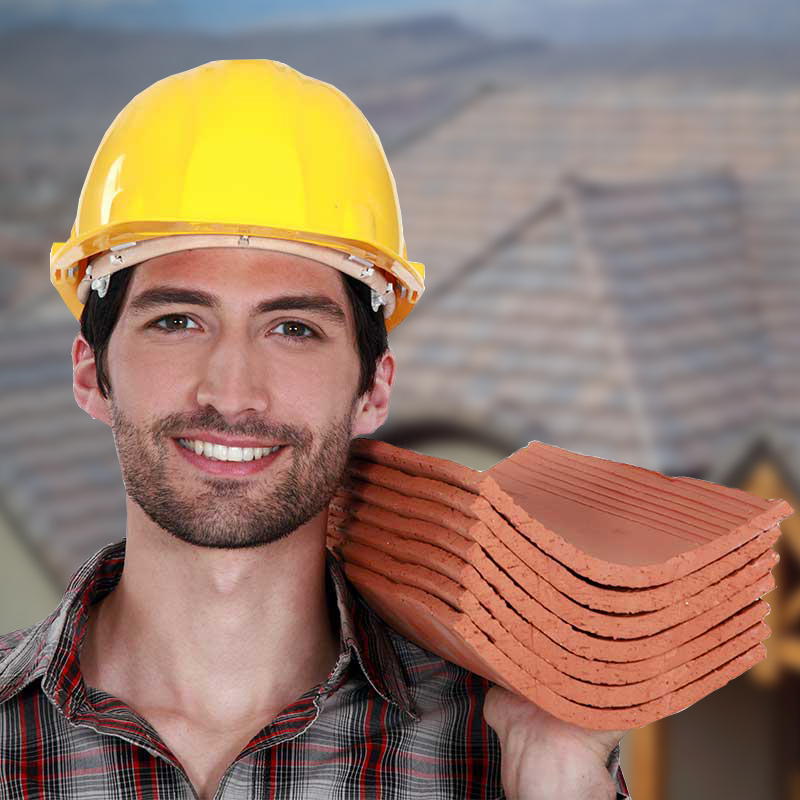 Whereas, due to fault or defects in workmanship applied by Roof Tile Custom Specialists, Inc., we will make or cause to be made repairs to correct your roof. We offer a wide range of lightweight and standard weight roofing tiles. We have many styles and colors to meet your every need. 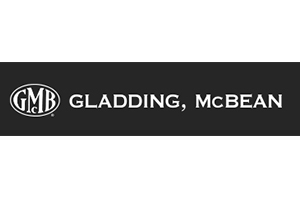 Please Contact Us to inquire about how we can improve your existing home with our quality products and services. We’ll make your home the jewel of the neighborhood with our many colors and styles of tile. Whether you like the look of wood shake or the Spanish style, along with our Dual Protection Membrane Process and 10 years Fail Free Flashing System, we will give you beauty and security during any storm. • Our material used is pliable and contours to the tile. 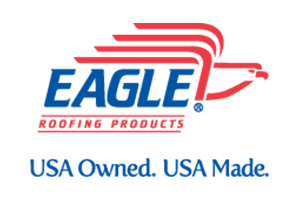 • We custom make our flashing to your specific roofing needs. • Our custom flashing help to prevent small animal access. 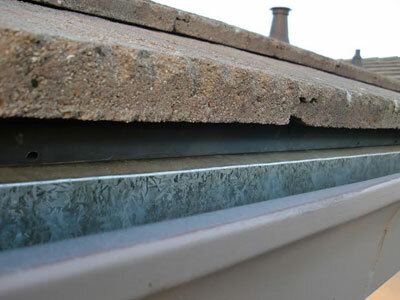 • Our custom flashing are sealed to help prevent access to wind driven rain. • We prime our custom flashing to give the paint durability. • We paint our custom flashing to match your roof and give you a finished look. • We mortar all of our hips and ridges, which prevent access for wind driven rain, birds, squirrels and other small animals. • We install sealer on the overlap side of the hip and ridge cap tiles to secure against strong winds and wind driven rain. • We install bird-stop or eave risers to help prevent access for birds, small animals and wind driven rain. 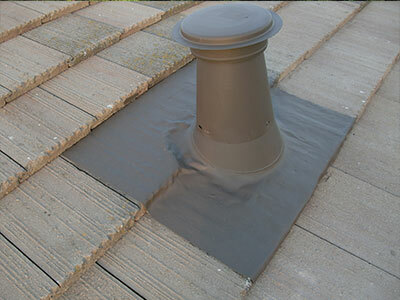 • Installing bird-stop elevates the first row of roof tiles, providing a uniform alignment. • We install redwood battens and shim up to allow water to flow freely. 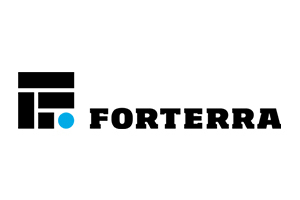 • Our mortar is specially designed to match and adhere to the tiles. 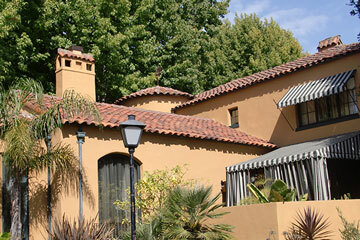 • We are experts in antiquing clay tile roofs.